The Documents app has got “Collections”. I’ve always assumed that was a fancy name for tags. Even so, the Documents app is not content agnostic. But maybe it should be more inclusive? Images, for instance, are not necessarily photos. They may be documents, in a wider sense. If I place an image file in ~/Documents, I would like the Documents app to display it, in order to allow me to add it to one or more collections (tags) of related documents. Or, abstracting the file system, the Documents app could allow me to “import” any content. I’ve always wanted something like this, incidentally, I’ve also been thinking about tag-based categorization lately. I’m sure I’ll check this out some time. 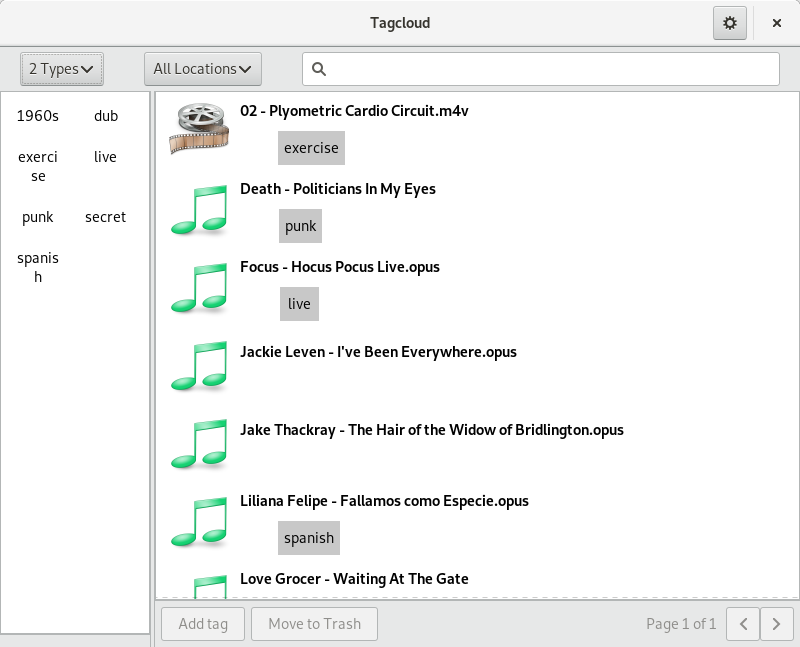 Q: Why “cloud” in “tagcloud”? Good prototyping, hope you have an excellent time brainstorming in guadec.